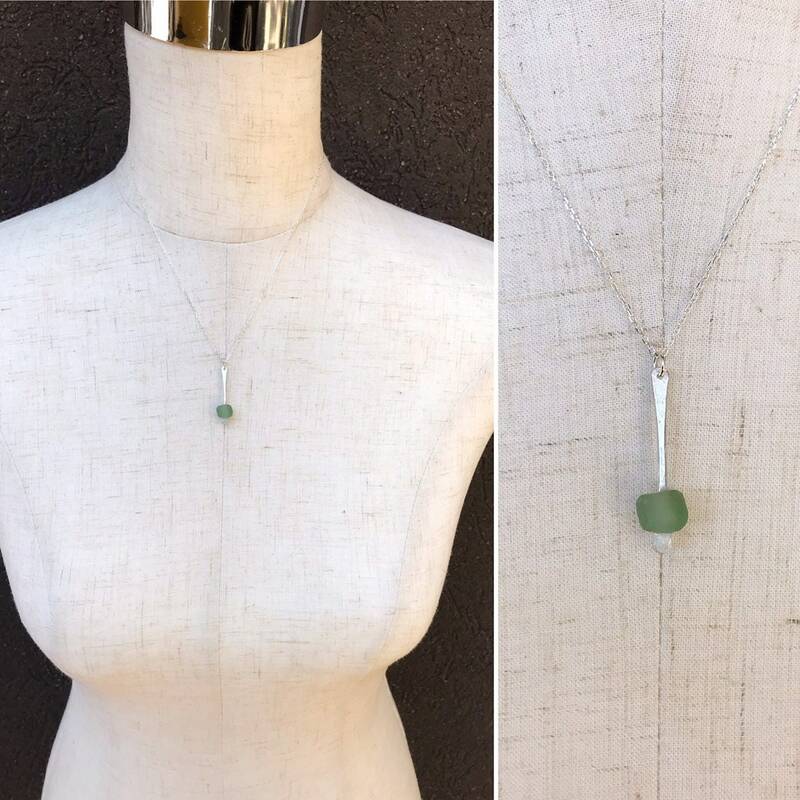 A thin, hammer formed vertical bar necklace with subtle rustic texture, featuring a small luminous green trade glass bead. 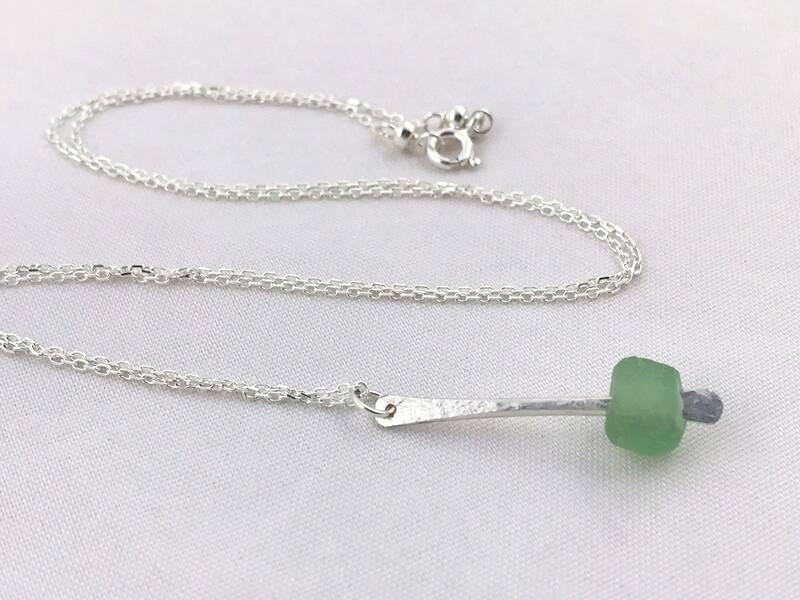 Dangles from a diamond cut sterling silver chain. 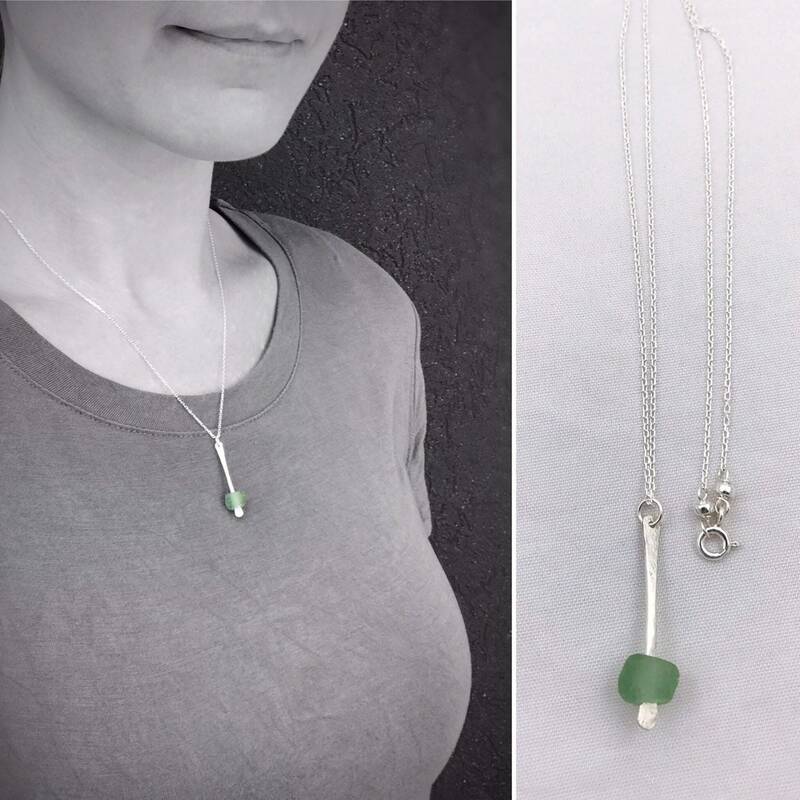 The design is casual and minimalist, centering on the simplicity of the silver bar and the pop of color that the glass brings. 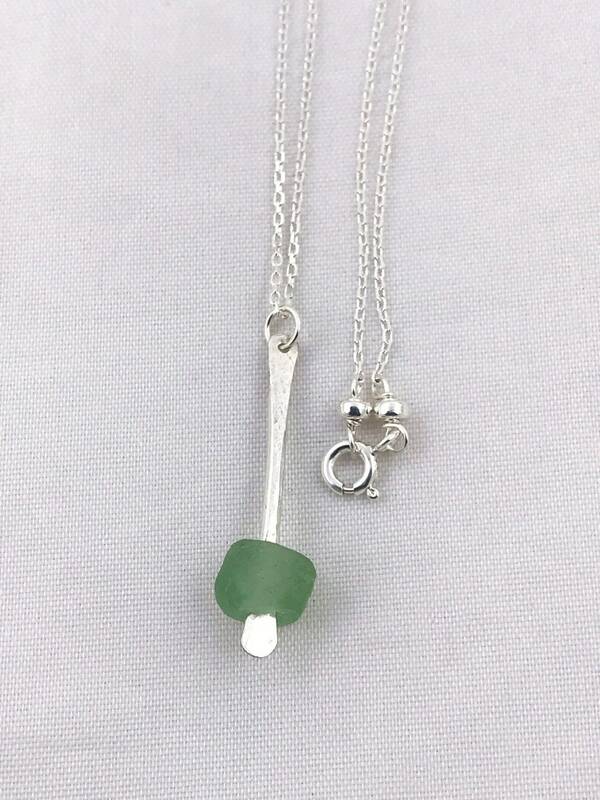 Worn alone or layered with other necklaces, it has an effortless look and feel about it. 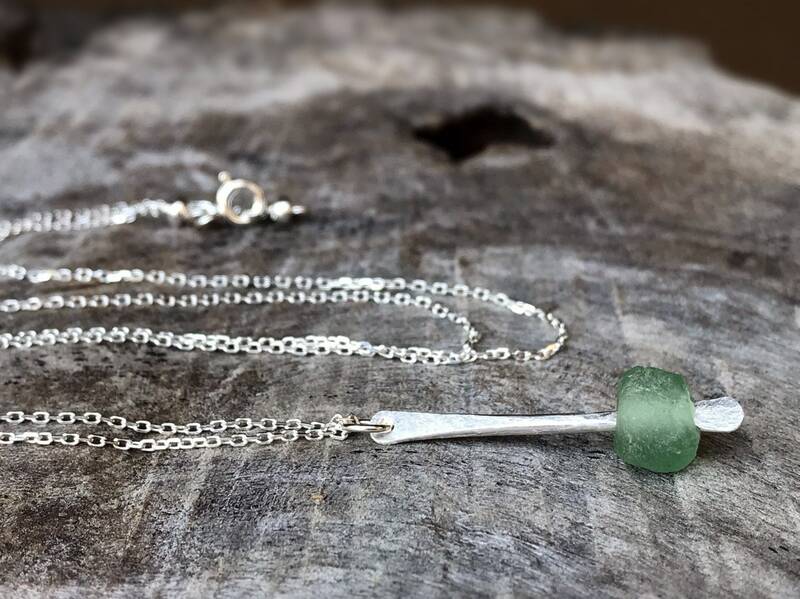 This necklace is made to order, the one in the photos is sold and yours will be created just for you with it's own unique trade glass bead, in your choice of chain length. 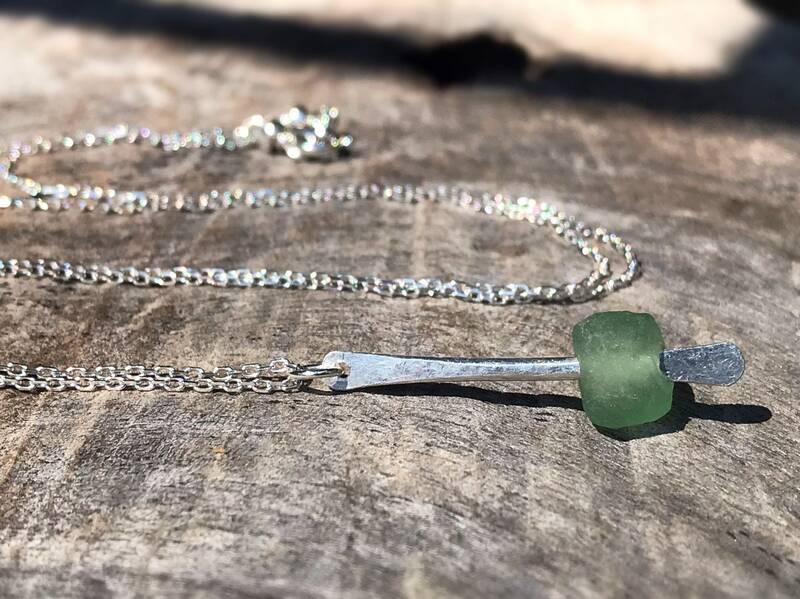 -Solid sterling silver bar is hand hammer formed and features a very subtle rustic surface texture from the forming. 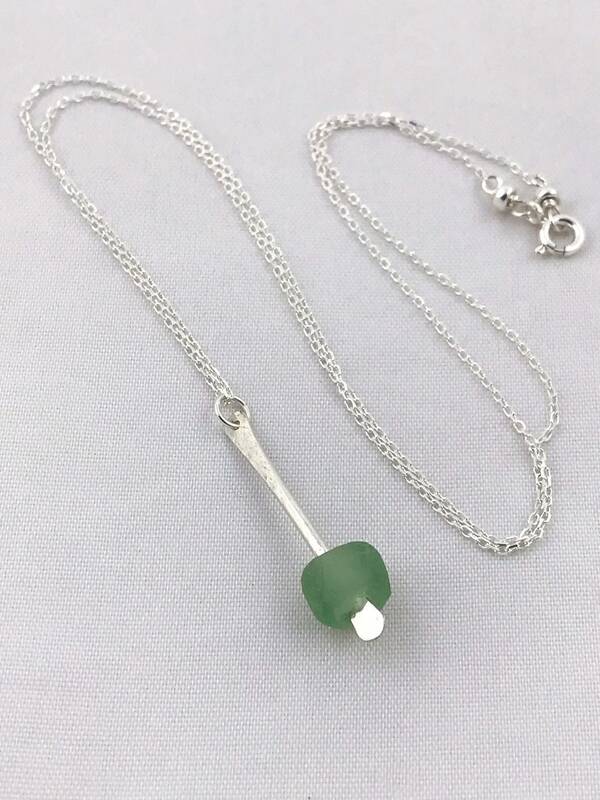 -A recycled trade glass bead is mounted on the silver bar, held in place by the flared ends of the bar. 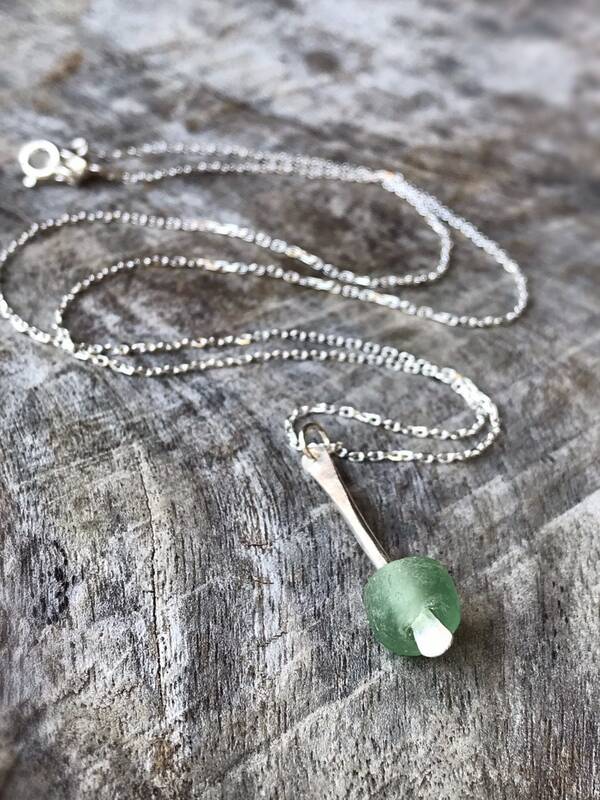 -Recycled/Trade glass is semi-round in shape and a soft leaf green in color with a raw tumbled surface texture. Some have surface inclusions and all are translucent (light can pass through). 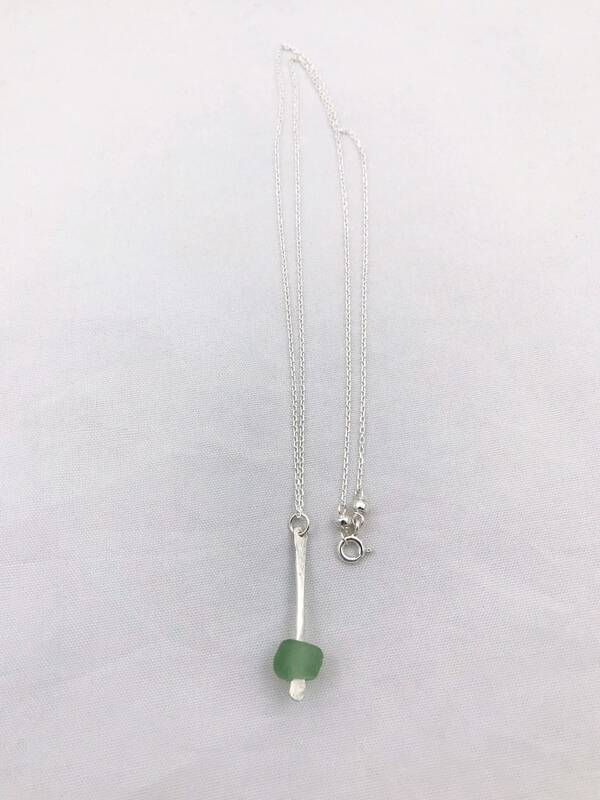 -Trade glass beads vary slightly in shape and size but are all semi-round and average 7mm (1/4") in size. 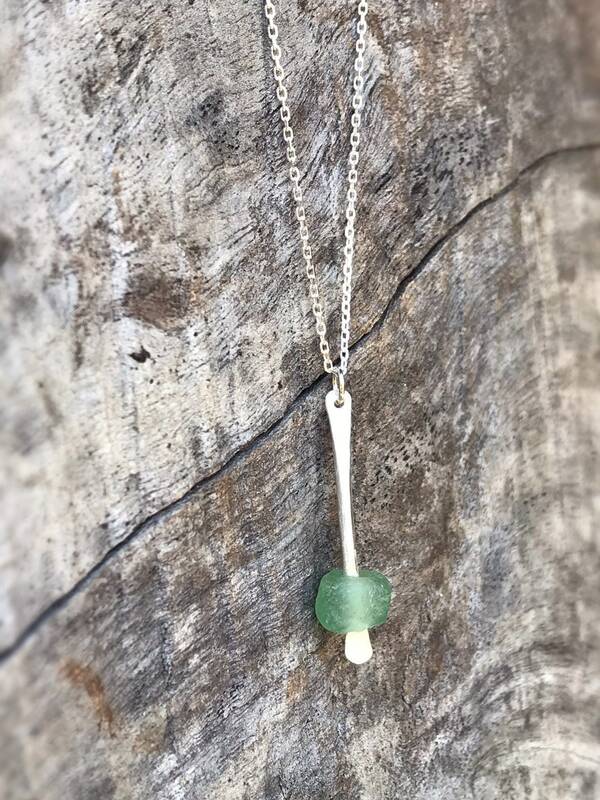 -Silver bar is 28mm (1 1/8") length (not including top loop which adds 1/8"), 3mm wide at flared ends, 2mm wide at center. -Chain is solid sterling silver 1mm diamond cut cable chain with small spring ring clasp. Thank you so much for visiting my shop! If you have any questions about this design or any of the designs in my store, please contact me, I'm happy to help!